In IPL 2019 Andre Russell is having the form of his life at the moment. The powerful West Indies all-rounder has come into Indian Premier League 2019 and bossed the field. There hasn’t been anyone as destructive as the explosive Russell. His eye for details has helped Kolkata Knight Riders earn victories from difficult situations. For the fourth game in a row, Russell showed his magic in the 12th edition of the tourney. KKR have managed to seal three wins out of four matches in IPL 12. They sit second on the table and it’s all because of one man – Andre Russell. The big-hitting all-rounder has been building on his efficient raw power clubbed with athleticism. His finesse in picking out the the boundaries from any given ball and situation has been the highlight of IPL 2019. We have a new king in T20 cricket and Russell richly deserves the tagline. Against Royal Challengers Bangalore on Friday, the efficient Russell made the impossible look possible. KKR lost skipper Dinesh Karthik to leave the side reeling at 153/5 in 17 overs. They needed another 54 runs off the last three overs. But Russell changed the scenario and capitalised on some poor bowling from RCB, who had earlier posted 205/3 at the Chinnaswamy Stadium in Bengaluru. A second beamer of the innings from fast bowler Mohammed Siraj, which the all-rounder hit for six, forced RCB skipper Virat Kohli to replace him with Australian all-rounder Marcus Stoinis. Russell was waiting eagerly and then smoked three sixes off the 18th over from Stoinis and took the chase in control. The powerful player then took Tim Southee to the cleaners — hammering him for four sixes and a four in the penultimate over. 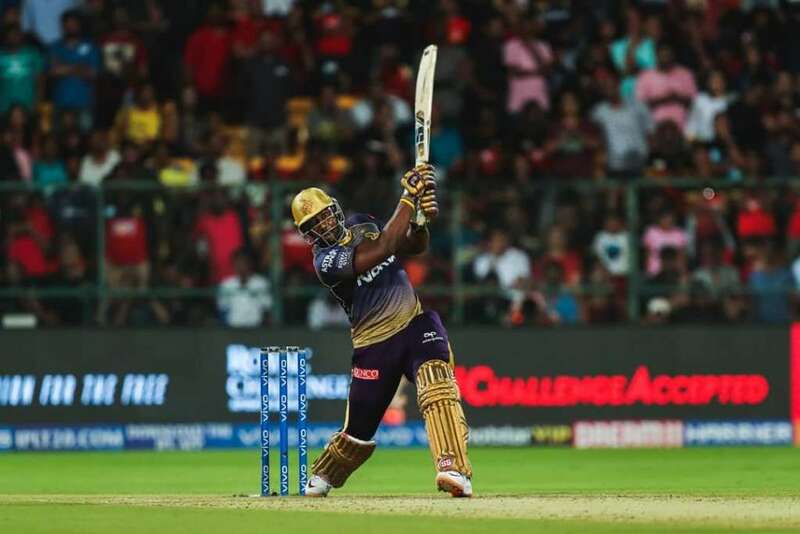 Kolkata won the match with five balls to spare and Russell ended the day remaining unbeaten on 48 off 13 balls, which was studded with seven sixes and one four. This could be a season which could see Russell dominate the show and perhaps even win to for KKR. It isn’t a one-match affair. Four successive games is no mean feat in cricket. 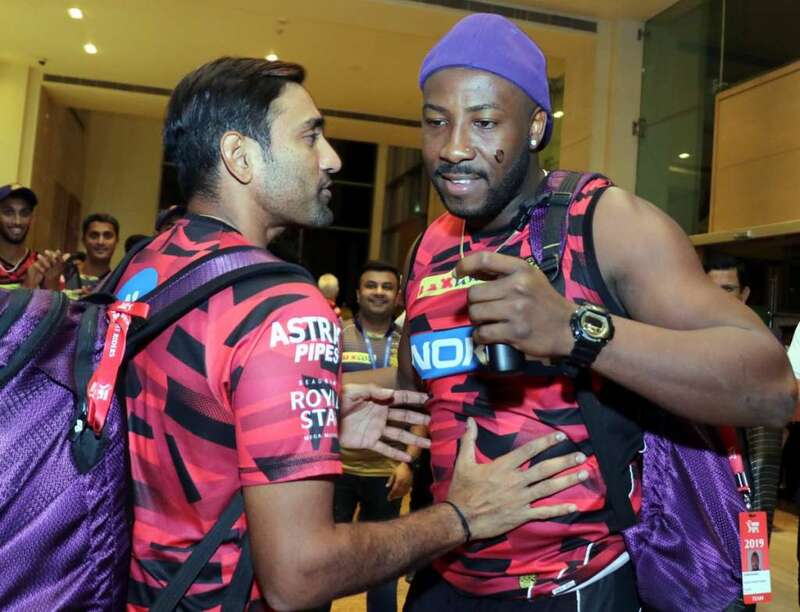 Here we look at how in IPL 2019 Andre Russell and how KKR could benefit immensely from the strong all-rounder. Russel has been playing shots all around the park and it’s sheer madness to watch him attack bowlers at the death with such finesse. 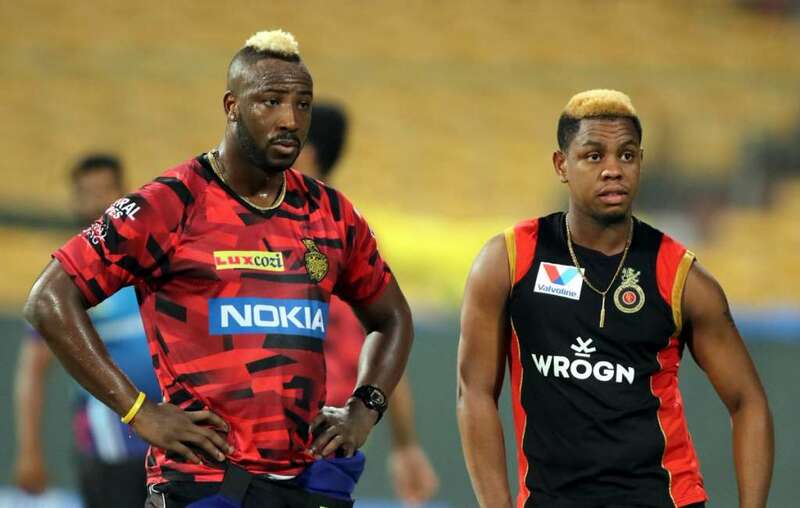 Sunrisers Hyderabad, Kings XI Punjab, Delhi Capitals and now Royal Challengers Bangalore faced the brunt of Russell’s power. It’s a one-man army this. It has been an absolute carnage on the field. To win matches from unlikely scenarios have become the flavour of KKR’s journey. The stage is almost set for this man. He comes in towards the end and pulls off the magic tricks from the hat. Nobody saw KKR coming back strongly against SRH and then RCB in the manner in which they did. Russell’s heroics had seen KKR scoring 53 runs from the last three overs. Against Punjab, it was Russell’s 49-run knock that helped KKR score 56 runs from the last 19 deliveries. He was lucky and fed off from the mistake committed by KXIP earlier in the 17th over. Then perhaps the strongest moment came against Delhi. The visitors were reeling at 61/5 and a collapse was written in the cards. But Russell applied himself well and went on to score 62 runs that saw KKR gain momentum and post 185. It was only via Super Over that DC went on to win after KKR pulled the strings in the second innings towards the end. Here’s a look at Russell’s exploits in IPL 2019 in the four games so far for KKR. Imagine a beamer being clubbed for a six. On top of that accidental top edges finding the boundary as well makes this man quite a maniac. This is sheer power and class. Russell has managed to take hitting at another level. His hand and eye coordination is just superb. Be it clearing one leg and hammering bowlers through mid-wicket region or dispatching length balls straight down the wicket, he is a sensation. Lower full-tosses are dispatched at ease with the right-handed batsman playing the short arm jab. The question lies where does a team bowl to him? Anything in his zone is clubbed. Short pitch bowling and length balls are a sheer mistake. So are the deceptive slower balls. One needs pin-point accuracy to get this man. Perhaps, perfect yorkers are the way forward. Kagiso Rabada’s Super Over was an example of this. He had bowled those two perfect yorkers that had Russell clueless. He was also beaten by the raw pace. RCB missed the trick and bowled flat against him. He makes bowlers panic and puts them under pressure. So how does Russell manage to pull off these shots? He said post the win against RCB, “No ground is big enough for me I guess, I just trust my power. The hand-eye coordination is the key (for low full tosses) as they aren’t easy to hit. I try short arm jabs as extending the arms can put you in trouble,” he said. Russell like ‘Universe Boss’ Chris Gayle has developed a knack of hitting sixes. Gayle has truly been the best ever striker of the ball and he has mastered the format for so many years. The 39-year-old Gayle is an outright opener who comes in and sets the tempo. We have seen Gayle being destructive against the world’s best bowlers over the years. His role may have changed over time as he seeks more time to settle in, but there is that threat of whirlwind sixes. Gayle has 302 in the IPL. Now the KKR star is doing the same in the IPL in particular. He is more of a finisher though and the role is different from Gayle. But when it comes to effortless six-hitting, Russell has shown flashes of the legendary Gayle. The KKR all-rounder has the best strike-rate this season (268.83). He has hit the most sixes in IPL 2019 (22). And he is only the third batsman to go past 200 runs this term. His calm presence and persona is a true identity of the confidence that follows. He does weird things in terms of shot-making and his absolute power makes him the king of T20 cricket.